Announcing our 2019 season of Panama Canal One Day Cruises. 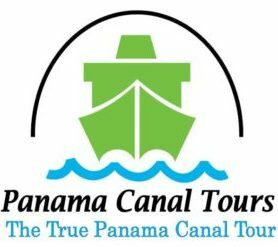 Panama Canal Tour Dates For 2019. 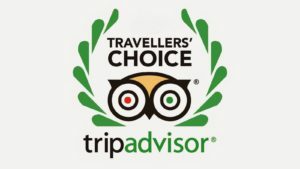 The most visited tour in Panama!. The following are the available boat transit tour dates for 2019. The dates not shown on this calendar have already been completely reserved, are sold-out, and are therefore, no longer available. To ensure space on one of our tour boats we recommend making your reservation as far in advance as possible. We do not maintain waiting list as all available spaces have been paid in full. This calendar must be taken into account to make your reservation. Please now find our tour calendar presented in two sections. The first calendar section shows available tour dates for our FULL TRANSIT boat tour through the Panama Canal, and the second calendar section shows available tour dates for our PARTIAL TRANSIT boat tour. REMEMBER!. The dates shown indicate that we currently have space available on each of the respective tours. 1, 2, 3, 4 5, 7, 9, 10, 11, 12 13, 15, 17, 18, 19, 20, 21, 22, 23, 24, 25, 26, 27, 28, 29, 30, 31. 1, 2, 4, 5, 6, 7, 8, 9, 10, 11, 13, 14, 15, 17, 18, 19, 20, 21, 22, 23, 24, 25, 26, 27, 28. 1, 2, 4, 5, 6, 7, 8, 9, 10, 11, 13, 14, 15, 16, 17, 18, 19, 20, 21, 22, 23, 24, 26, 28, 30 1, 3, 5, 6, 8, 9, 13, 15, 16, 20, 21, 22, 23, 26, 27, 30. 7, 14, 21, 22, 27 28, 4, 5, 11, 12, 19, 20, 22, 25, 26, 28, 29, 31 1, 2, 4, 6, 8, 9, 11, 13, 16, 17, 22, 23, 29, 30 3, 6, 7, 10, 13, 14, 20, 21, 22, 23, 24, 25, 26, 27, 28, 29, 30, 31.